If you follow me on Instagram you may already know that we are making the switch away from plastic in our kitchen. As I was learning about cookware I started coming across a lot of information about plastics being harmful as well. Yes, even BPA free plastics have people questioning if they are really safe. We decided that we wanted to skip plastic all together and try to find the best and safest options out there for our family, especially our kids. Here are the kids items that we found! Bobo and boo is a bamboo dinnerware small shop that come in lots of fun colors! My girls love the colors and they are able to safely add color with only having .05% of food safe mineral pigment. So they are not painted or coated in anything! They are BPA, PVC, Phthalate, Lead, Cadmium, and Mercury free. They do have a trace amount of melamine in them which allows them to be top rack dishwasher safe. They are not microwave safe which doesn't bother me because we don't use the microwave much anyways. These bamboo sets are a very fun, cute, and affordable option. They have a very detailed FAQ page on their website that can answer all your nontoxic questions about their product! Avanchy is another bamboo option. They are a little higher of a price point so we only have one of each of the toddler sized plates for my girls. I like that they have separated sections for runny side dishes so food doesn't "touch" (in case you also have one of those picky eaters). These are 100% Bamboo with no fillers. They are BPA, BPS, Lead, Phthalate, and Melamine Free. They are hand wash only and not microwave safe. And of course here is their FAQ page as well, if your anything like me you like to read all about products before you buy. Ok, so we haven't gotten these yet but they are on my list of things to get. The girls were bringing their lunch a lot earlier this year and I would love to have some reusable bags (esp with cute designs haha) instead of throwing away multiple plastic sandwich and snack backs everyday. I hope these help you in your non plastic search. 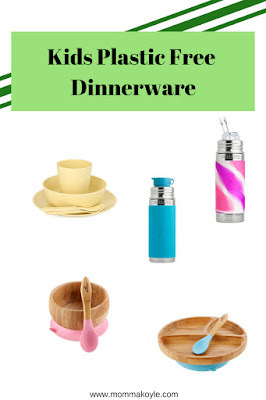 This post is obviously kid themed, but I plan to do another post soon about other/more kitchen items that we have switched out in our plastic free/ non toxic journey. Hello! I am Jenifer! 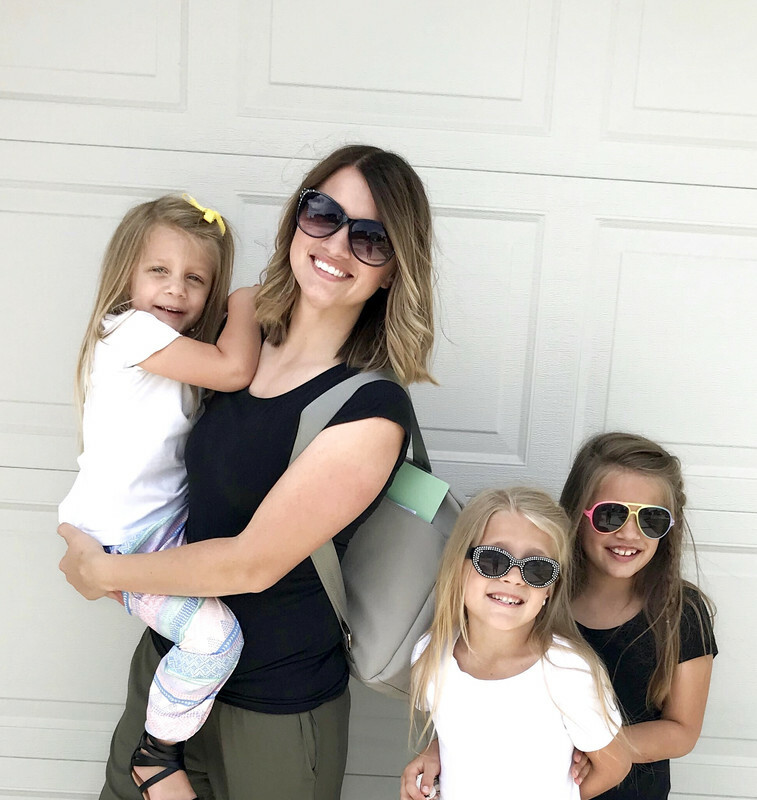 I am a wife and mother to 3 little girls. Thanks for following along!